Chanaka in 1981 had set up a body called the Council for Liberal Democracy, which I was initially wary of, because he said he had established it with President J R Jayewardene’s blessings. Though he had been upset at the treatment of Mrs Bandaranaike, he thought my fears exaggerated, and expressed the belief that, though some elements in the UNP had authoritarian tendencies, J R himself was basically decent. I found this ironic, because back in England, in 1978, which was his freshman year, he had been deeply critical of J R. I was impressed by the developments in Sri Lanka, and thought J R entirely responsible for the change, whereas Dudley Senanayake had seemed to me a leader without much initiative. Chanaka however was deeply critical. Though his loyalty to the UNP was absolute in those days, he saw Dudley as an utterly decent politician of deep convictions, while J R was essentially an ambitious intriguer. By 1980 that had changed. 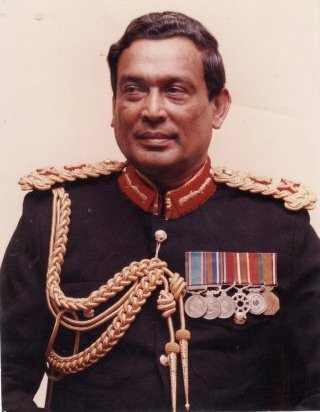 He was less fond of Premadasa than he had been earlier, when he had told me that Premadasa had nearly joined the Dudley front. But his real bugbear was Lalith Athulathmudali, whom he saw as potentially a dictator. He claimed indeed that J R had encouraged the formation of the CLD so as to provide space for liberal thinkers such as Gamini Dissanayake, of whom he thought very highly. In writing about the various UN personnel from Britain who appeared to have other tasks to fulfil in addition to the ostensible one of contributing to humanitarian operations, I noted the fact that the way in which UN staff is sent to Sri Lanka is not always clear. Often we were not informed when particular positions were not in fact UN ones but had been specifically funded by the British for purposes that were not transparent. In this shifting situation, with the UN being used with preconceptions and for purposes for which it was never intended, as I was first advised by a senior Indian diplomat, we need to be doubly careful, but unfortunately this shift seemed to have passed our Foreign Ministry by. I can only hope that now, with a much more thoughtful and experienced Secretary in place, we will begin to plan a bit more carefully for the challenges of the 21st century. Lack of care seems to have contributed too to what happened with regard to Ms Damilvany Gnanakumar, about whom I first heard when I was negotiating the release of a New Zealand national, for whom I had been asked to liaise on behalf of the New Zealand embassy in Delhi. I think I spoke to the wrong person in the military, who failed to deal with the issue, but I did locate the lady with the help of UNHCR, and tried to expedite her release. I was not entirely surprised by the results of Saturday’s local government election. I had said I thought the government should be happy if it got 30% of the vote in the North. It got less in most places, but it managed at least 20% almost everywhere, which it should see as a good base on which to build. It also managed to do comparatively well in Kilinochchi, which is where it had concentrated its development efforts. 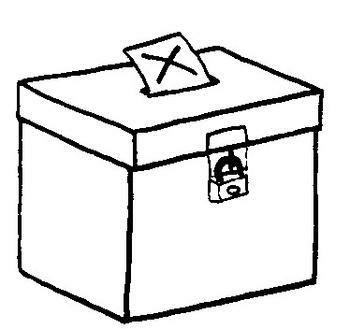 Interestingly, the TNA had allowed the TULF to context two of the three Pradeshiya Sabhas in Kilinochchi that voted last Saturday, and in both those the government got over 40% of the vote. In fact it did almost as well as the TULF in Poonakary, and had the SLMC contested together with the government, it might well have won. In Karachi on the other hand, where there were the greatest number of allegations of strong arm tactics, it did much worse. Whether or not elements in or close to government were responsible for whatever prompted the allegations, I hope this will serve to convince government that any trace of strong arm tactics can only be counter-productive. I am grateful to Sabaragamuwa University for organizing this Seminar on English, and in particular for allocating time to discussion of English medium education. Perhaps more importantly I should also place on record the contribution of this University to the programme of English medium education in the state system that commenced in 2001. The then Vice-Chancellor, Prof I K Perera, had no hesitation in approving my appointment, even while I was Acting Dean of the Faculty of Social Sciences and Languages, as Coordinator for English at the Ministry of Education. He very generously permitted me the leeway to work a couple of days each week at the Ministry, and also conduct workshops and travel widely to monitor the programme. And the Student Union of the Faculty, which had first persuaded me to take on the position of Dean with a petition signed by the students (a condition I had thought they would never manage to fulfil), made it clear that they felt I was amply fulfilling my responsibilities, when the unimaginative bureaucrats then running the University Grants Commission thought I was not performing my duties satisfactorily. And I must also pay tribute here to the graduates of this University who worked for me at the Ministry, Dinusha Rambukpitiya (who was later a Lecturer here in Japanese), Amani Abeydeera and Lakmal Manatunga from 2001 to 2002, and later Shashikala Assella (who is now a Lecturer here in English) and Nadisha Deheragoda from 2004 to 2005. In addition to intelligent and imaginative work, they also kept me sane when I had to deal with the sometimes overwhelmingly negative attitude of the Ministry bureaucracy. I am honoured to have been asked to speak at the launch of ‘A Most Noble Profession – memories that linger’, General Gerry de Silva’s account of his days in the army. This was at very short notice, for the obvious reason that a preferred speaker could not make it but, since the point was made with customary military straightforwardness, I was happy to accept. There was also another reason for being keen to talk about such reminiscences. It is now ten years since I began teaching at the Sri Lanka Military Academy, and realized that one problem young officers faced was the lack of information about what had gone before. I was surprised to find that there were no descriptions by army personnel of campaigns that had been conducted, of battles that had been won or lost. I contrasted this with what for instance the Indians had produced after the war the Indian Peace Keeping Force fought against the Tigers between 1987 and 1990. I believe 17 books or so had been produced by the time I became Academic Coordinator of the degree course at the Academy, and I would point out how useful those accounts must be to young officers having to deal with similar situations. Part of my point was the need for analytical skills and reflective capacity to digest what had gone before, and extrapolate from it lessons for the future. I used this to emphasize the importance of the degree course, its introduction of thinking skills as well as historical and political awareness, on top of the strategic and tactical planning that officers needed to pursue in systematic fashion. I would hope then that the products of the course would be able in time to set down their experiences to help their successors. Late in 2009 the US Department of State produced a ‘Report to Congress on Incidents during the Recent Conflicts in Sri Lanka’. The Report was shared in a very positive manner with the Sri Lankan government, and I regret very much that we did not immediately look into the matters it mentioned and produce a response to the US. This was planned, and a Committee for the purpose was in fact appointed. I have no idea whether the general lack of urgency delayed things, but soon enough there were good reasons to feel suspicions about at least some Americans. The shenanigans with regard to General Fonseka were worrying, though I suspect we should realize that individual Americans may have exceeded their briefs in this regard. As with Sri Lankans, we cannot assume concerted policy in all cases where individuals go out on a limb, though again, as with Sri Lankans, the tendency to stand together leads to misunderstanding. Still, we should understand that, at least in the American Defence establishment, there is a positive attitude to what we achieved. Indeed there is also awareness that excessive hypocrisy can be self-defeating, if ever international instruments subject America to the same relentless criticism some individuals apply to us, whether through self-righteousness or other more sinister motives. Joanna van Gerpen meeting with S. P. Tamilselvan, the political leader of the LTTE, in Kilinochchi. What was interesting about the State Department Report was that it was balanced and indeed made clear the contribution of the LTTE to any abuses that might have occurred. Whereas some of those working for the UN took pains to suggest that government also bore some culpability with regard to child soldiers, the Report records 18 allegations about this appalling practice of the LTTE. Indeed if any blame should attach to the UN for its activities in Sri Lanka, it is with regard to the condoning of this practice by the UN in the years after the Ceasefire Agreement. 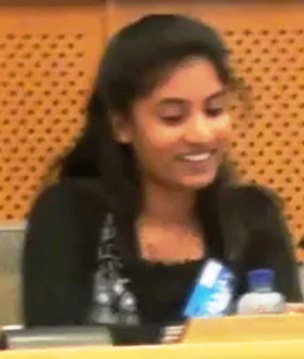 The conduct of Joanna van Gerpen, who connived at the continuing recruitment of children over 17, with her failure to ensure proper use of the 1 million dollars that were given to the LTTE for rehabilitation, seems to me deplorable, and she should be deemed guilty by association at least of War Crimes, with appropriate recompense paid to those who suffered. 1. During your BBC HARDtalk interview with Stephen Sackur, you said, referring to the Lessons Learnt and Reconciliation Commission (LLRC), that “things could have moved more quickly”. Don’t your remarks vindicate concerns earlier raised by many others, including the panel appointed by the UN Secretary General that the LLRC was deeply flawed due to the limited mandate of the commission and partisan nature of the panelists? Not at all. My remarks concerned speed of action, as to which I have always believed that one must work quickly in anything one does. Sadly this is not a principle that is followed by many, and rarely by bureaucrats or commissions, in other countries as well as in Sri Lanka. The concerns you refer to seemed to deal with possible findings, and seemed to me prejudiced, as I shall make clear later in discussing your concerns about the panelists. I should add that, while I continue to believe one must act speedily, I have often been criticized for this, on the grounds that my good ideas – about which criticism is rare – should have been implemented slowly. 2. 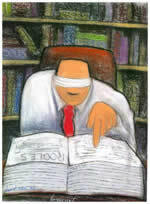 According to your observations, what is causing the delay in the expected outcome of the LLRC? 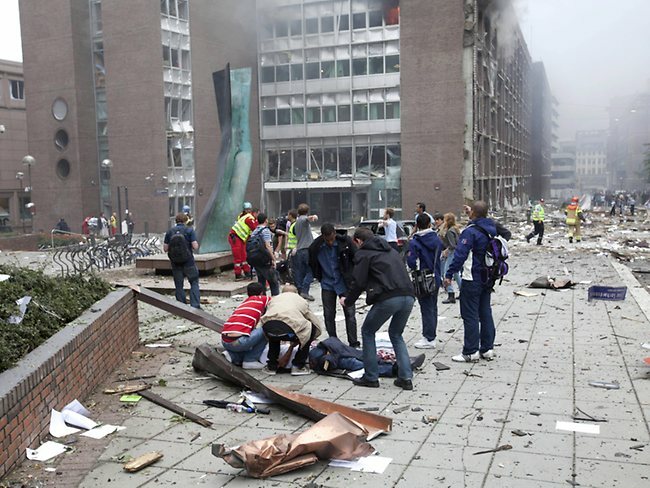 The terrorist attacks in Norway are profoundly upsetting. The number of those killed may be familiar to us, having gone through such anguish frequently in the past, but nothing should make us fail to register the enormity of such horrors, the brutal extinguishing of so many lives, the deep suffering for those that remain. Sadly I fear that there will be a few people in Sri Lanka who see what has occurred as some sort of retribution, for what seemed excessive indulgence to terrorism. I do not believe that was the case at all, as far as Norway as a country was concerned. What seemed encouragement was part of a mindset that some Sri Lankans too shared and, though that mindset was betrayed, we cannot morally fault those who tried to promote solutions based on mutual understanding. There was certainly a failure of intelligence and understanding when indulgence continued long after it was clear that Tiger terrorists were incapable of compromise. But I believe many Norwegians too realized that things had gone wrong, and some of them certainly tried, though not with much success, to restrain Tiger brutality. I have a certain affection for the BBC, which has grown considerably since Channel 4 began its programme of using every trick in its repertoire to denigrate Sri Lanka. 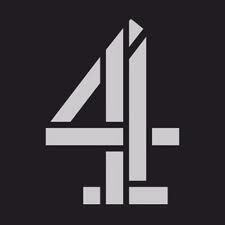 Though the BBC too was not perfect, it did have certain standards, as was clear for instance when it refused initially to telecast the first film Channel 4 showed, on the grounds that its authenticity could not be substantiated. The faults of the BBC are those of any other media outlet – and perhaps all humanity – a tendency to dramatize and exaggerate, to concentrate on what makes the points it wants to highlight and ignore the opposite. But it generally tends to do this with a sense of responsibility and, even if its perspectives are undeniably British – so that Al-Jazeera for instance seems more rounded in comparison – it does evince that sense of fair play which some Britishers used to cherish. Given the ruthless Murdoch approach to media manipulation, and the manner in which, like the Gadarene swine, other outlets felt obliged to follow suit, the BBC has been comparatively dignified. While even within the BBC there have been exceptions, sadly the most prominent as far as impinges on our consciousness is its Sinhala service. I have now grown used to the techniques many of its reporters employ, so much so that I always ask for a recording so that, if there is excessive misinterpretation, I can at least make the point I was trying to make. Unfortunately they seem to be wise to this, and refuse to let me have recordings but, given that at least one of them seems reasonably balanced, I continue to deal with them and hope for the best. I was saddened therefore to find recently a more egregious example of impropriety than usual. I should add that I am indebted for this to one of those many Sri Lankans resident abroad, Muslim and Tamil as well as Sinhalese, who have now begun to monitor the media and respond to it swiftly, as the LTTE surrogates had done so effectively over the years. 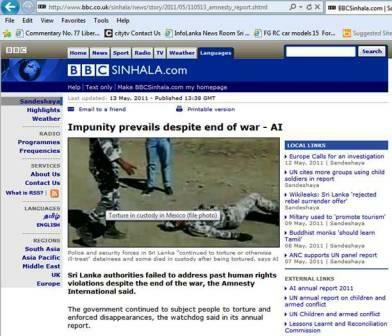 I was thus sent a month back a screen shot of a BBC Sinhala Service article, about the Amnesty International claim that impunity persisted in Sri Lanka.